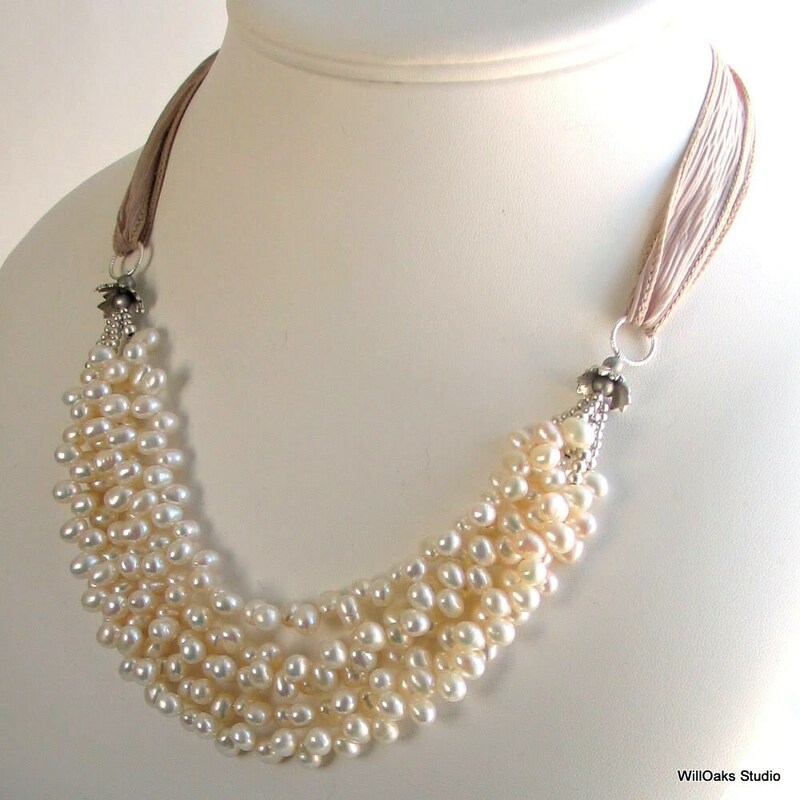 Five graduated strands of top drilled lustrous ivory white pearls form a focal point approx 8" long that drops about 1 1/2" down in the center front. 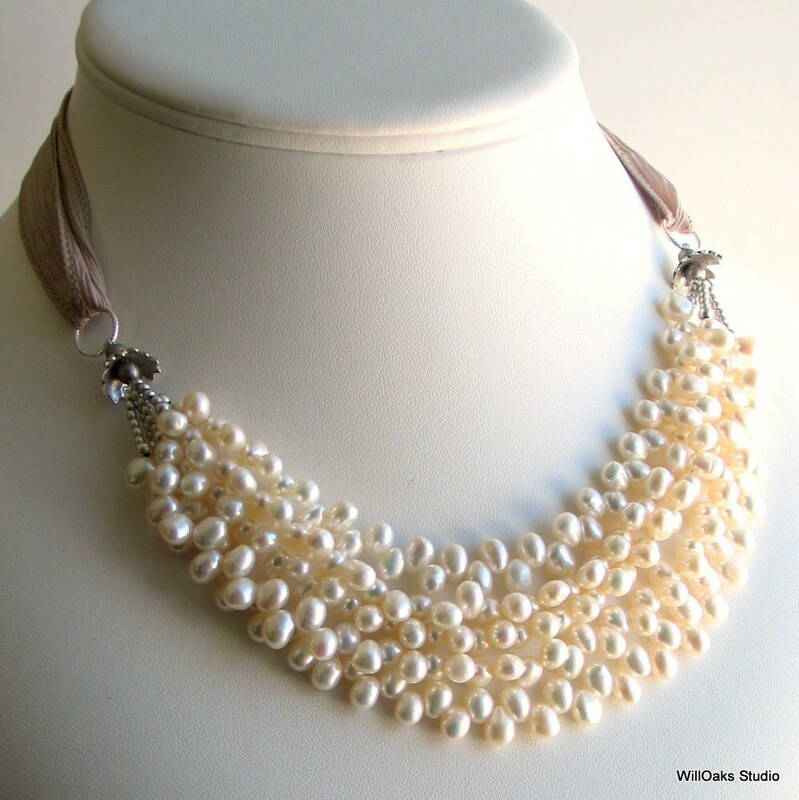 An original version of the classic white pearl necklace taken to new heights as it adjusts from choker to opera length and moves from the boardroom to the dance floor. The river of pearls is bracketed with lots of sterling silver beads, bead caps and textured rings. The rings hold an artisan made silk ribbon dyed a pale cappuccino beige. Plus, the rings allow ribbons to be changed to different colors so this necklace can provide a lot of different looks.. 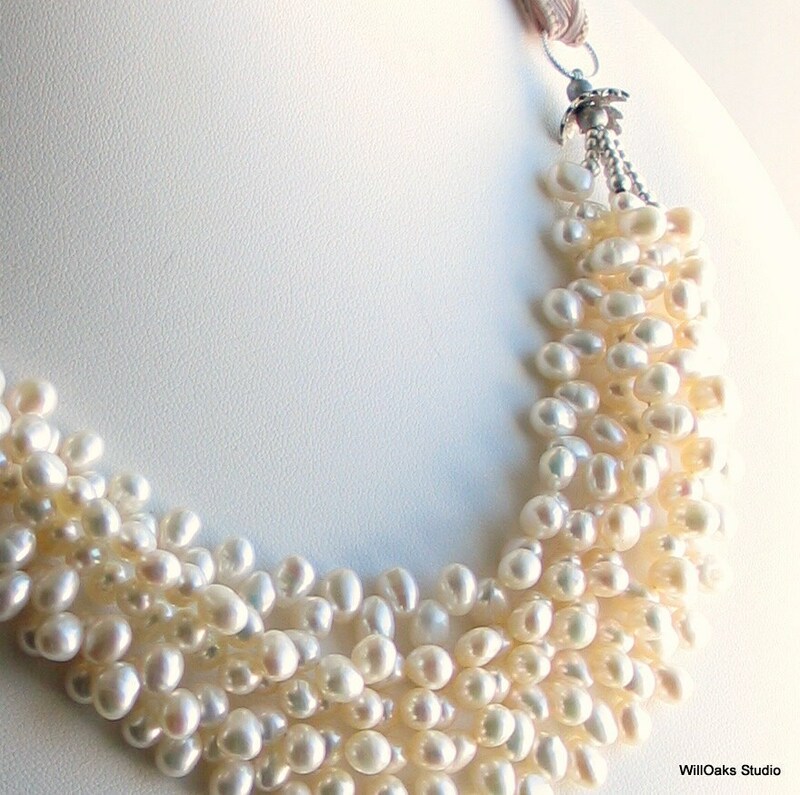 The freshwater pearls are each about 6 x 7 to 8 mm, have wonderful organic rice shape, and are all top drilled---all qualities that contribute to the rich texture of this original cluster. 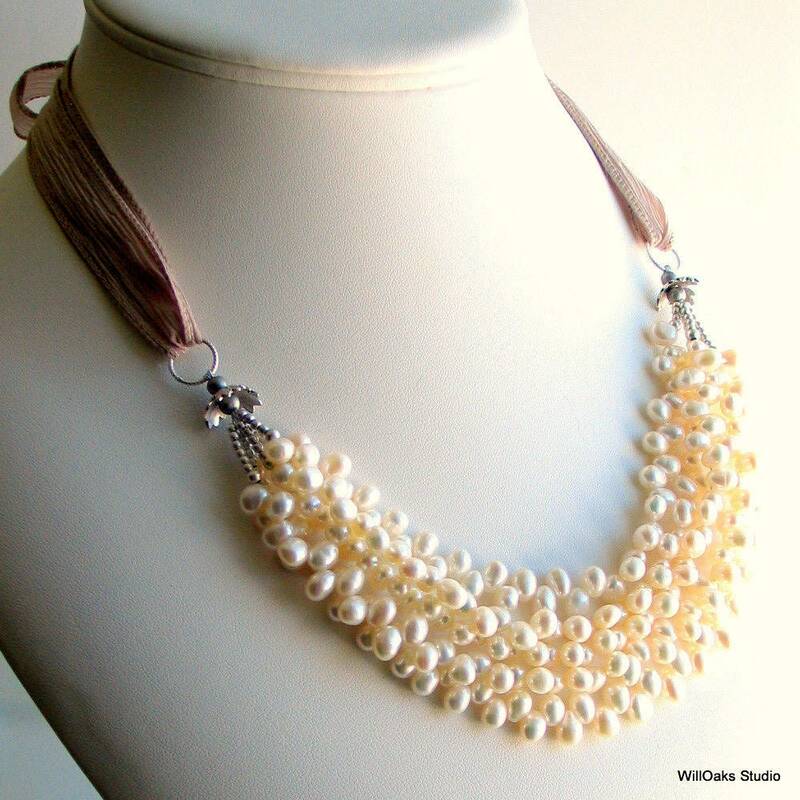 Find your own favorite style as the ribbon is 42" long so paired with the handmade pearl focal point, can be worn many lengths and different ways. 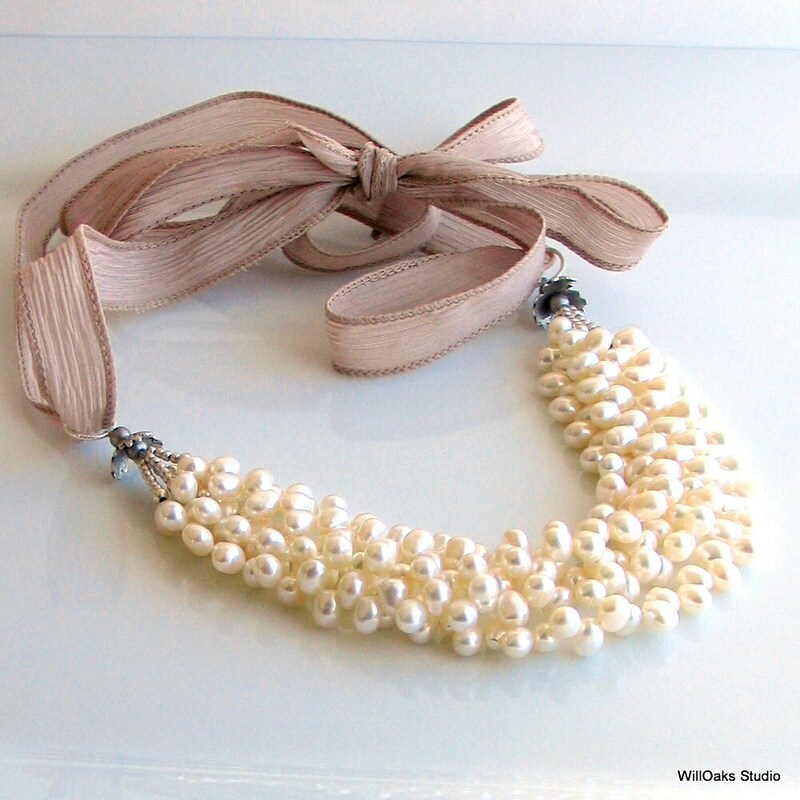 Pearl necklaces are carefully packed into my signature gift boxes all ready to give or to keep. Orders are shipped to the address that you have included here on Etsy. Gift wrapping and gift shipping are always available, just make a note to seller when you check out and include this giftee’s address for shipping, with a gift message, if desired.